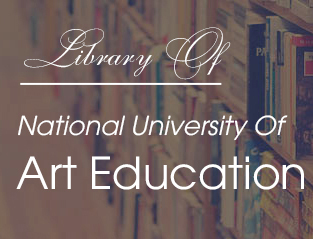 On purpose of assessment on the post-graduate student’s study, on the 18th October 2018, at Graduated Thesis Room, Post-graduate Studies Department of National University of Art Education, there has had a graduattion ceremony of master degree in cultural administration. After announcing the decision of assessment council establishment and scientific background of the students, they have represented a summary of the theses to the Council. The comments of the reviewers, commissaries and other memebers in the Council concentrated into the contents and the format of the theses; besides the scientific information, the thesis authors had been advised of right format by the Council. The operating Council 1 includes Assoc. Prof. Dr. Dao Dang Phuong - The president of the Council; the other memebers: Assoc. 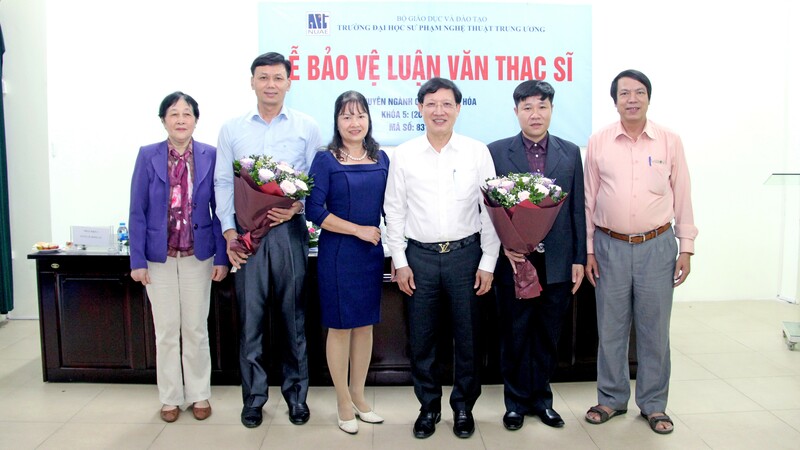 Prof. Dr. Nguyen Huu Thuc, Prof. Dr. Le Hong Ly, Dr. Trinh Thi Minh Duc, Dr. Duong Thi Thu Ha (Reviewer 1, Reviewer 2, Commissary and Secretary). Content summary: Vietnam is a nation known for its richness and diversity of culture, which can not fail to mention the sea culture of the Vietnamese people. Sea culture in Vietnam is very rich and diverse in many different forms such as festivals, customs, beliefs, traditions against foreign invaders. However, in recent years, the integration and expansion of international relations, the issues of culture in general and the culture of the sea in particular have been paid special attention not only in culture and economy but also confirmation of territorial sovereignty of the Country. Cat Hai is an island district of Hai Phong city consisting of two towns: Cat Ba (center district), Cat Hai and 10 communes, of which the Cat Ba archipelago has 367 islands. Wishing to find out the value of marine culture in Cat Hai island district with the tourism development of Hai Phong, the selected topic: "Sea Culture with the tourism development in Cat Hai island district, Hai Phong City" to analyze the status of tourism development based on the culture of the sea, on the basis of which propose solutions to bring island tourism development sustainable but still preserve the beauty of sea ​​culture. The operating Council 2 includes Assoc. Prof. Dr. Dao Dang Phuong - The president of the Council; the other memebers: Assoc. 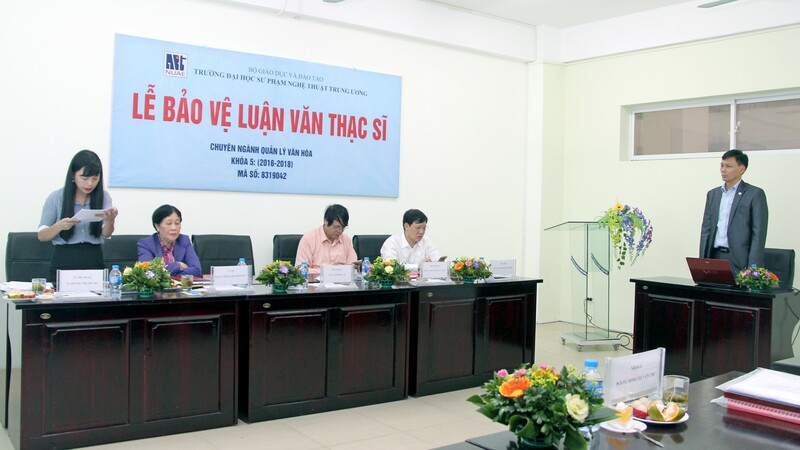 Prof. Dr. Dinh Thi Van Chi, Prof. Dr. Le Hong Ly, Assoc. Prof. Dr. Trinh Thi Minh Duc, Assoc. Prof. Dr. Nguyen Huu Thuc (Reviewer 1, Reviewer 2, Commissary and Secretary). Topic: The trance dancing at Thuong Doan realm, Dong Hai 1 ward, Hai An district, Hai Phong city. Content summary: Trance dancing is the rite of communication between humans and gods through middlemen/middlewomen. There are many elements of art such as music, literature, art, dance, and the performance of the trance dancing with all the traditional cultural values ​​of the nation, where people can come closer together, regardless of status, social status. In order to contribute to the clarification of the cultural values ​​of a traditional ritual in the worship of the mother goddess of the nation, to help cultural authorities as well as people understand the nature of rituals, the author chooses the subject: "Trance dancing at Thuong Doan realm, Dong Hai 1 Ward, Hai An District, Hai Phong City". 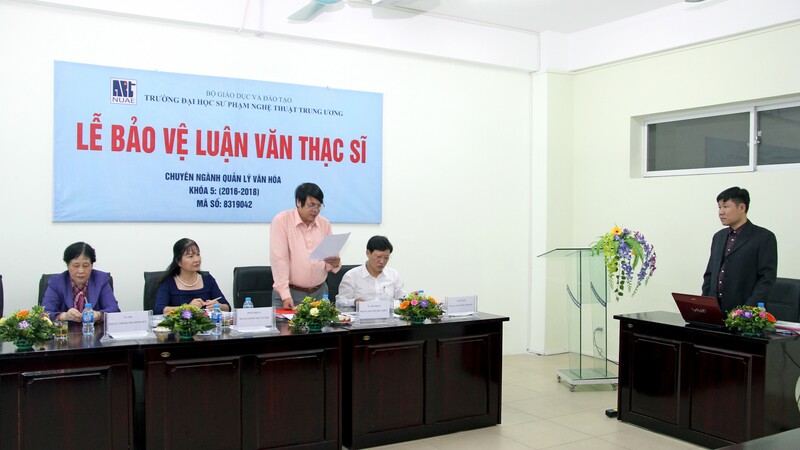 The study focused on the cultural values ​​of mother goddess rituals at Thuong Doan realm, to propose solutions to effectively manage these cultural values ​​in the community.